If you are familiar with the Tucson North Foothills, you are aware that this is an area rich in history, legacy, ...and low inventory! Homes are mostly built before 2000, and bring with them a uniqueness and charm that can't be found elsewhere throughout Tucson. The Foothills Clusters is one of those master-planned communities built in a "cluster" fashion with streets radiating out from the main drive. The Foothills Clusters is a quiet community just east of Skyline and Campbell in North Tucson. Minutes from shopping including La Encatata, offices, galleries, restaurants and more - The Foothills Clusters beckons to those looking for a private retreat. The open area around the homes is a natural preserve, protected by the rules of density of the local hoa. Nearby, enjoy birdwatching, wildlife, moutain views and hiking paths, walking trails with Finger Rock and the Santa Catalinas as your backdrop - these are just some of the things you can enjoy with home ownership in this District 16 "cluster of homes". The following is a current listing, one of the larger square foot homes of the area, priced right for your own vision. What makes this home special -- and great for entertaining -- is a common area joined by the kitchen, dining room, sun room, family room and living room -- all connected to a generous backyard patio with lovely mountain views and a preserve vista. 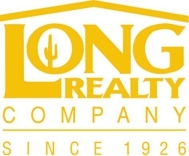 Currently, there are only a few homes available in The Foothills Clusters of North Tucson AZ. North Ranch - LOCATION with that Homey Neighborhood Vibe!